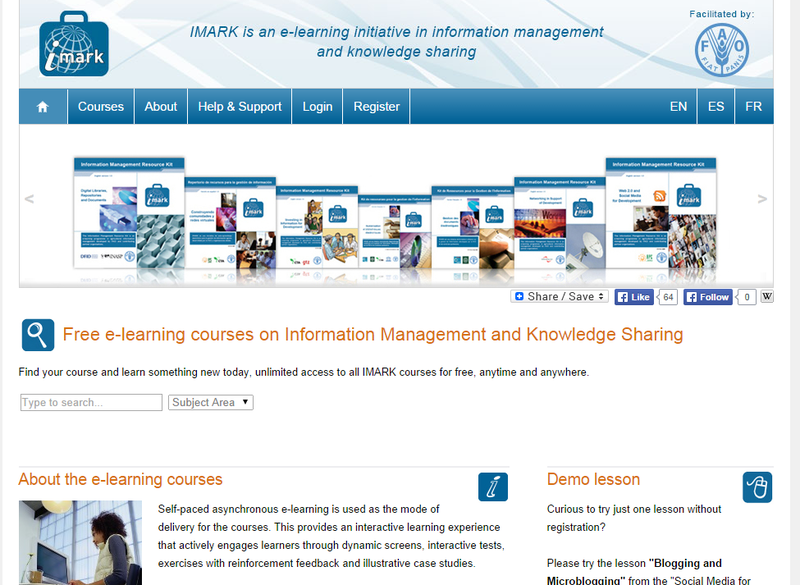 The IMARK Steering group members are delighted to announce the publication of the new IMARK website www.imarkgroup.org . Visit the new website to have unlimited access to free e-learning course on Information Management and Knowledge Sharing and learn anytime, anywhere and at your own pace. Food and Agriculture Organization of the United Nations (FAO).